This is why you should always keep puff pastry in your freezer. 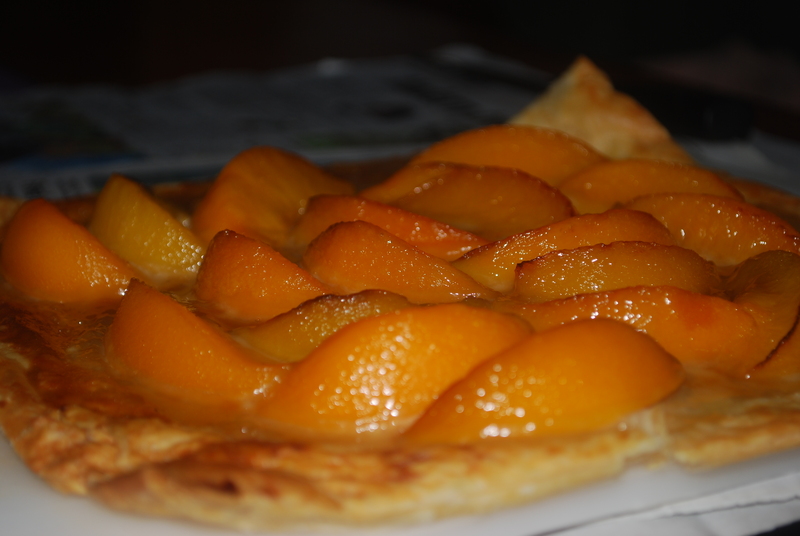 A couple of days earlier I had opened a large tin of peach slices and only used about half of them. This night we had only had a small meal so mid evening I decided to make a dessert. I opened the fridge and it was all” mother hubberded”, except for the left over peaches and various tubs of fresh cream, creme fraiche and sour cream…why? 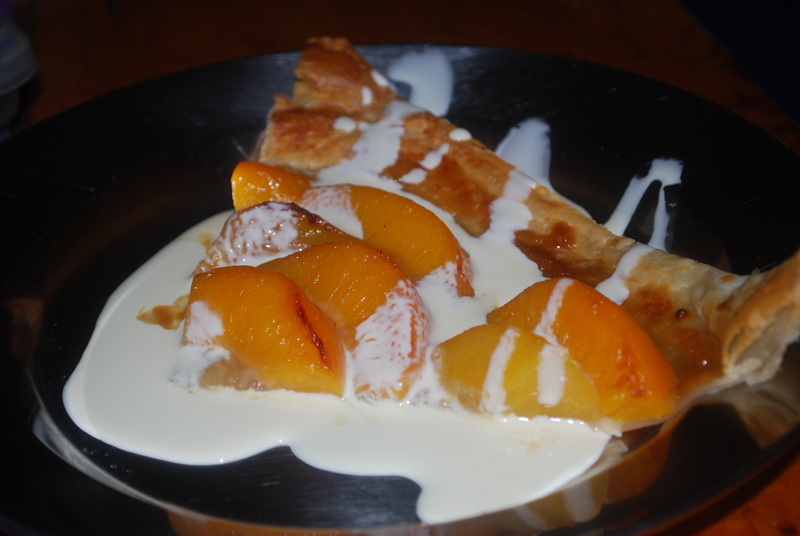 Anyway I knew I had pastry frozen so I decided to make this Peach and Caramel Sauce Tart. 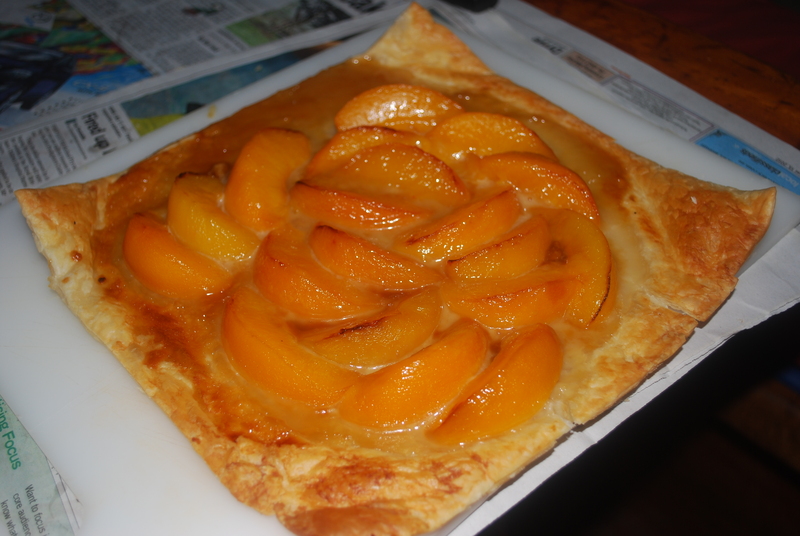 Too easy, just a sheet of puff pastry lay out peach slices and drizzle over caramel sauce and bake until golden. I made the caramel sauce but caramel topping or pre-made caramel in a tin will do. And we went with just fresh cream poured over the tart.